There are so many apps in the Education category of the App Store, but trying to discover new apps can be time-consuming and unrewarding. The App Store has tried to offer different options for discovery but with the sheer number of education apps available it is easy to spend hours trawling through hundreds of unrated apps as you try to work out which ones are worth downloading. Thankfully today we have a great app that we think is the last choice that you will have to make for an educational app. The name of the app is Learn English - Kids. It is a free app available for the iPhone, iPad and iPod Touch. 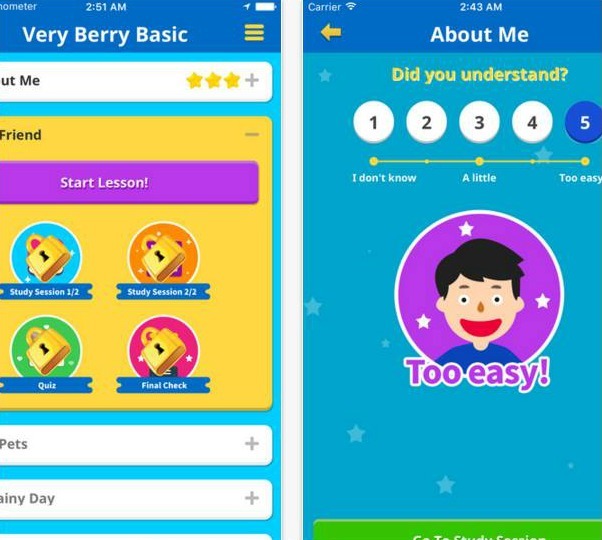 The app is meant to teach children the English language step by step. Whenever you come across a word, there is a picture and audio file associated with it. This makes the learning process fun and intuitive. Learn English - Kids also features texts to help the child’s reading skills, and quizzes with typing to improve writing skills. The app is very fun to use and features a cool and friendly interface design. So if you want your child to learn English in the most fun and interactive way, we highly recommend the Learn English - Kids app for all to enjoy. If you are interested in finding out more, feel free to visit the app’s official App Store link, where you can download the app for free as well.